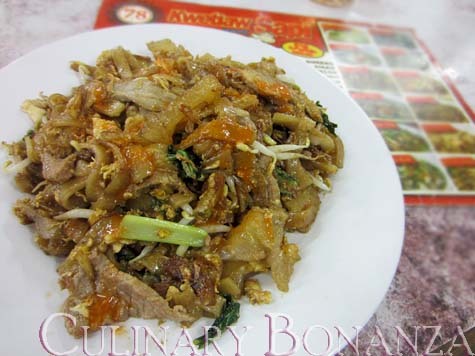 Fans of kwetiaw (flat rice noodles), have certainly heard about this legendary establishment that started cooking luscious beef kwetiaws since 1973. Today, it has opened several branches around Jakarta, in areas that are known to be dominated by the Chinese Indonesian community such as Pluit and Kelapa Gading. That evening I went to its first store at Mangga Besar Raya. The place is busy, but not claustrophobic, we could get a table rightaway. For non-beef lovers, worry not because they serve not only beef. There's also seafood and if you don't feel like having kwetiaw, you can choose something else, such as bihun (vermicelli rice noodles), noodles and rice. 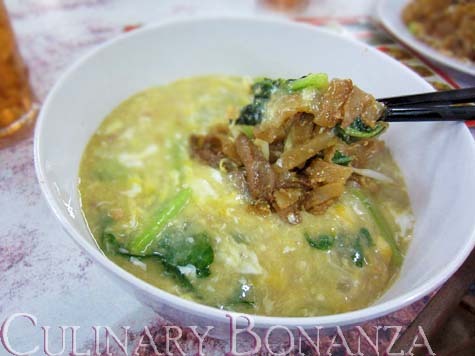 They even serve a few variations besides the conventional stir-fried kwetiaw, such as: siram (gravy), kuah (soup), siram telor (gravy with egg), and yam (boiled and stirred with oil). I ordered the Kwetiaw Sapi Siram (beef kwetiaw with thick egg gravy). 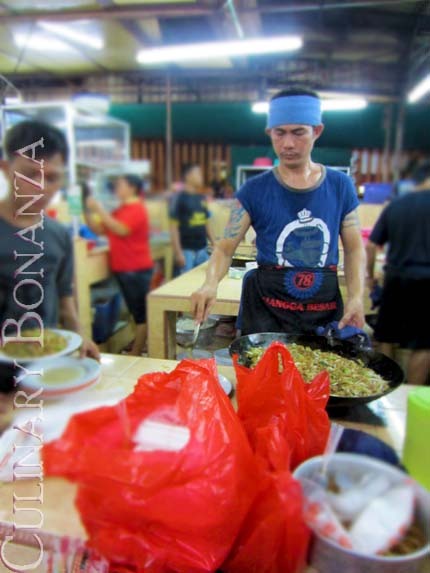 Compared to what Tommy had: the Kwetiaw Sapi Goreng (stir-fried beef kwetiaw), I still preferred mine, which tasted smoother. Although I personally still prefer the kwetiaw elsewhere, there must be something about the kwetiaw to keep people coming back for more, right? This store itself feels like a one-stop restaurant, where you can find (Chinese style) appetizers and desserts. Inside here, there are other vendors selling cold dessert such as Iced mung bean, Ice Durian, etc, and traditional kuehs (bite sized traditional cakes made of rice flour) and other types of cakes to complete your feast. Nom nom! belum pernah coba yang asli di mangbesnya malah..